Your rain gutters fill with leaves, moss and other debris creating blockages and causing water to overflow into the roofline and foundation. Water damage in the roofline can cause mould and damp inside your home. Keeping your gutters well maintained can prevent damage to the roofline and property foundation and prevent costly bills. Having a build up of moss on your roof can damage or break the tiles. 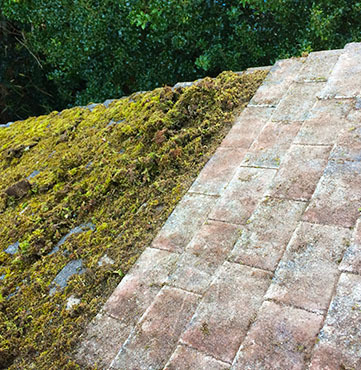 During the winter months moss can freeze and expand causing tiles to break, and during rainy months it holds water causing moisture making the tiles brittle and rotten. Removing moss can dramatically increase the life of your roof, saving you thousands in repairs. Gutter guard installation can dramatically decrease the frequency you need to have your gutters cleared. Moss, leaves and other debris can build up in your gutter system causing insufficient flow and other problems. Gutters without guards should be cleared annually, but gutters with guards can be cleaned every 5 years! uPVC is a popular construction material thanks to it's affordability and durability. After time your fascias, soffits, bargeboards and other uPVC areas can become weathered and unsightly. An annual uPVC clean will improve the look and add value to your home, and it can be done in combination with any of our services. We recently had a call from Mr Kirk in Bournemouth who was being kept awake at night by an incessant dripping noise onto his conservatory. On inspection we found his gutters to be completely filled with moss, leaves and other debris. After we had cleared the gutters Mr Kirk called back to say he had had the best nights sleep in ages! 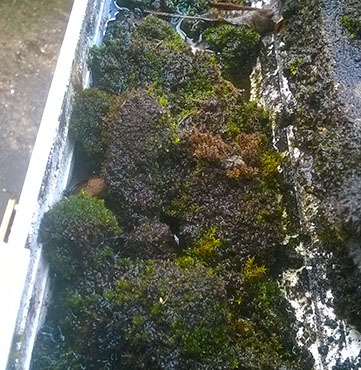 Mrs Andrews from Christchurch recently purchased a new house but was worried about the coating of moss and algae on the roof causing problems with damp. She took advantage of the 50% off roof cleaning offer and the results speak for themselves! She has added value to her property and saved herself costly repairs in the future. We had a call from a customer troubled by overhanging trees. Despite having her gutters cleared annually the gutters were still becoming blocked. She had mould problems in her bathroom and bedroom from the damp soaking through the wall. 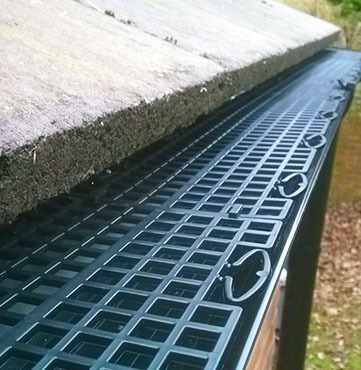 We cleared the gutters and installed gutter guards which solved the problem. We are currently running a 50% off all roof cleaning offer. When you call mention the code ROOF50!